When was the last time you are reduced to tears out of awe for a film? I must have mentioned this in the past but I am a reader. I read books. I don’t watch film very much. I am a listener and a writer. I am not very much of a speaker (except when I want to stand up for my opinion). If I were in the film industry, I will be more than content to be the one behind the scene, doing the directing or the screenwriting. As a result, I don’t really care about the commercial aspects of a film. I don’t care if the hero is balding and thick in the middle as long as he can carry out the character well – make it believable. Amuse me, make me fall in love with the character! Make me cry! I don’t really like American movies – not all, but most of them are empty in messages. Vulgar in jokes. Explicit in eroticism. Overboard in violence. Just not very…cultured. Most Hollywood movies are like alcohol….you know, empty calories! They depend too much on the good looks of the actors, on the fantastic stunts and on the sensationalism. But when it comes to real substance, they do a fantastic job of making it completely and thoroughly disappointing. I have in my collection a few inspirational movies that one must see in one’s life at least once. High on top of my list is Children of Heaven. There are also others like The Pursuit of Happyness, 3 Idiots, Taare Zameen Par, The Colour of Paradise, The Song of Sparrows, The Kite Runner ( I like the book more than the film), Life of Pi (again, the book is better than the film). There may be a lot of other great movies out there, but as I don’t watch many films, I don’t know them. If you ask me about inspirational fiction/books, then my list will become a bit longer. Today I have discovered this very inspiring and touching film entitled Les Choristes. This is a moving story about a teacher who was hired to teach and supervise a group of ‘difficult’ students at a boarding school for ‘problematic children’. The teacher is also a passionate musician. He uses music to inspire his students. He forms a choir and creates many beautiful songs for them to sing. He finally tames them to a better disposition. The plot was simple enough but it was poignant and heart-warming seeing the perseverance and the kindness of the teacher towards his naughty little students. So when he is fired by the headmaster and is denied the opportunity to say goodbye to his beloved students, they sing him a very captivating song from the inside of the school building as he slowly walks away. The emotional tune of the song ‘Cerf Volant’ is stuck in my head. Below is the scene that had me crying – when the teacher was dismissed, he wasn’t allowed to meet his students for one last time. His ‘bon voyage’ came in the form of a very sweet song sung by his grateful students. And below is the song Cerf Volant sung at a concert in France. The solo part was sung by the main actor in the film himself. Oh, I have never been so violently in love with a song before. You know what’s the problem with songs nowadays? The lyrics are stupid and so totally devoid of any artistic elements. I was horrified when I first heard this song ‘My Hump’ by Black Eyed Peas years ago. I was like, what the heck? How can you repeat ‘my hump’ countless times at a chorus and then call it a song lyric? And repeating the word ‘womanizer’ at the chorus for God only knows how much….how is that even a lyric rather than a repetitive word? Whatever happens to “every time I see you, all the rays of the sun are streaming through the waves in your hair.” Aren’t that such beautiful words by Air Supply? “And every star in the sky is taking aim at your eyes like a spotlight.” Isn’t that charming? “The beating of my heart is a drum and it’s lost and it’s looking for a rhythm like you.” Oh God, that’s my standard of beauty in a song lyric. AT LEAST! What is happening now that people accept such low-standard of songs to be attached to? Don’t even let me get started on the Oppa Gangnam Style thingy! Come on! That is not even low-standard. That is like, NO STANDARD at all. My ears hurt and my heart aches every time I hear that song. Simply terrible. Unlike Vois sur ton chemin…- Sorcery. 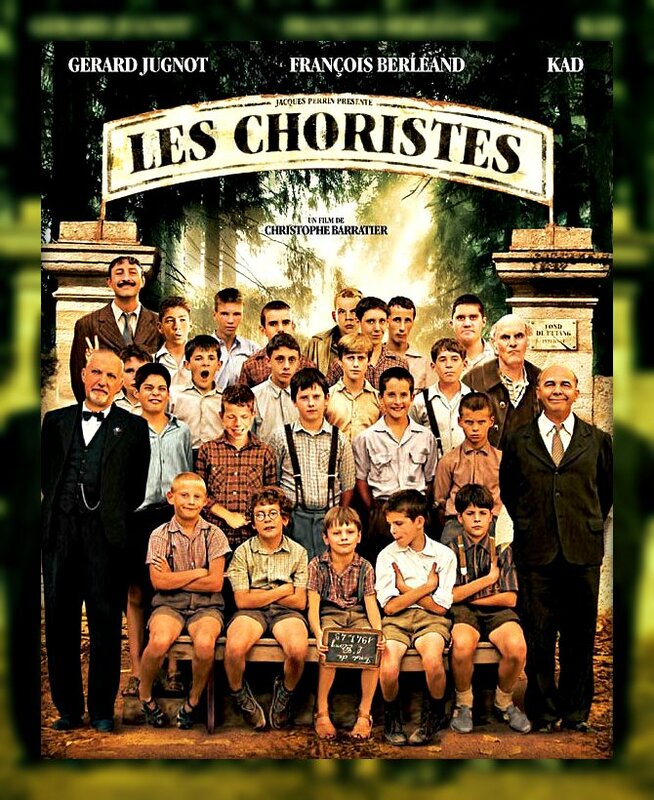 Hmmm…all in all, Les Choristes is indeed a heart-warming, awe-inspiring musical film. Watch it, folks. No regrets, I guarantee you. Now, I leave you with another song from the actor of the film Jean Babtiste Maunier and Clemence. There are no words to the song (they were only stylishly repeating the sound ‘aaaa’ throughout the hearty rendition)…but the music is out of this world, folks. Seriously, no joke. Better ISMA than the other two, I will always say. Perfect alternative for someone who, most of the time, berada atas pagar, like me. I hope ISMA will contest as ‘bebas’ rather than joining either BN or PR.